July 22, 2018 July 23, 2018 Kathleen Adams1 Comment on Sorry you caught a bug! Here’s a video of how the pop up mechanism works. his is a die set from Karen Burniston and is fast becoming my favorite! Why, because it can be any theme you can imagine! Plus. 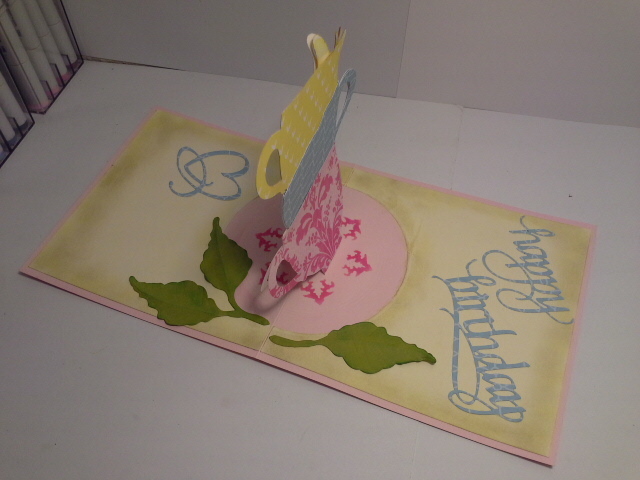 It’s an interactive card that has a surprise that pops up when the receiver opens it. 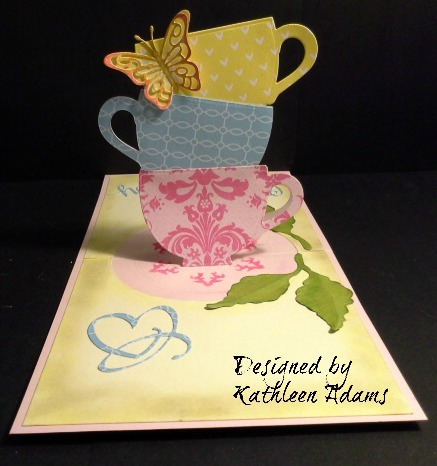 I adore the paper packs from Moda Scrap called “Thinking About Polinesia” for Elizabeth Craft Designs. I am also crazy for polka dots! 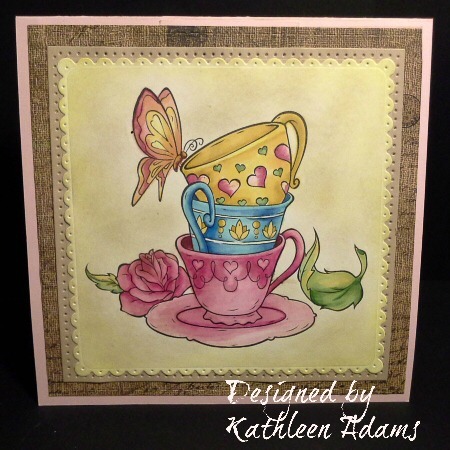 I used this adorable stamp set from Lawn Fawn called On The Mend . 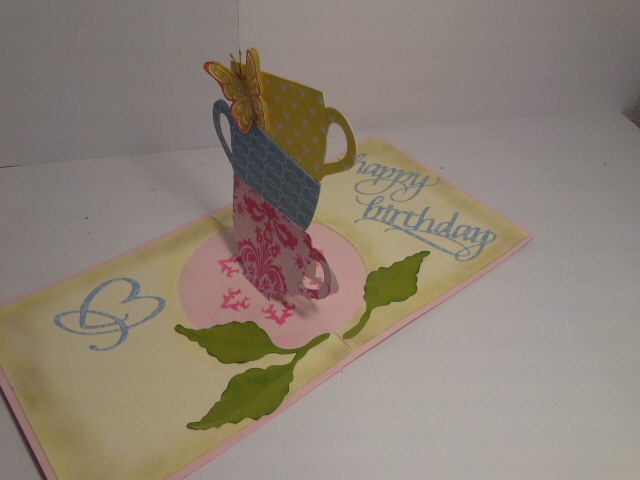 I stamped the Band Aid, Soup bowl/spoon and Turtle on white cardstock. I colored them and fussy cut. The Tissue Box and little bug, and sentiment “sorry you caught a bug” and “feel better” was also from the same set. I cut the 2nd to the largest for the flower pot on the front and the largest for the pot inside. The Daisies are from a die set from DoCrafts called “Glorious Gerbera” I cut the daisy on the right middle which is the second to the smallest twice for each daisy and the yellow center of the daisy from the little circle once for each daisy. Well, that’s it. Now you have all the info about the products used in this project and I hope you’ll make you’re own version of this really fun interactive card. Thank you so much for taking some time to take a look. Please leave a comment as I just love to read them.